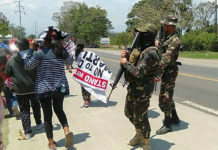 COTABATO CITY (MindaNews/09 January) – Fifty individuals have been included as suspects in the 2009 Ampatuan massacre for their alleged participation in the planning and execution of what is considered the bloodiest political violence in recent history. Forty-three complainants along with witnesses said the suspects were involved either in the planning, execution, or covering up of the bloodbath. Assisted by private prosecutor Nena Santos, the complainants and witnesses took their oaths before Maguindanao Provincial Prosecutor Tocod Ronda at the provincial governor’s office conference room on Tuesday to signify the veracity of their additional manifestation. 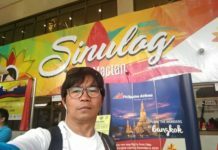 It is said to be “the final wave” of the prosecution’s undertaking in the massacre trial which Ronda will immediately relay to Justice Secretary Leila De Lima. It added, “To attain full justice, we, the heirs of the Ampatuan, Maguindanao massacre victims file the multiple murder case against the (mentioned) persons who participated in the gruesome commission of the crime,” the complainants said in their manifestation. But Maguindanao Gov. 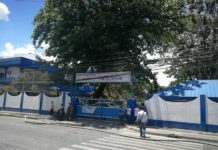 Esmael Mangudadatu, whose wife and other family members died in the massacre, expressed concern about the security of the remaining witnesses, noting that many witnesses have been killed or threatened. He cited the case of former Datu Salibo town mayor Akmad Ampatuan who survived an ambush a few weeks ago. Armed men also reportedly went to his house and that of his son in Shariff Aguak town to harass them. Akmad Ampatuan, along with two companions who are also witnesses, was also ambushed last Nov. 18. Denix Sakal, said to be a close aide of detained Andal “Unsay” Ampatuan Jr. was killed in the attack. Sukarno “Butch” Saudagal was wounded. “Akmad’s statement is the complete picture of all the previous statement of witnesses. There are new revelations that told the untold versions during the carnage and the background of accused Ampatuans,” Mangudadatu said. Akmad, a close relative and trusted man of Andal Ampatuan Sr., turned his back against his former boss after he decided to become a prosecution witness. Mangudadatu is also concerned that some of the private armed groups, which harassed massacre witnesses such as Akmad Ampatuan, have allied with the Bangsamoro Islamic Freedom Fighters (BIFF). But the BIFF denied the allegation saying they could not accept as members men like those involved in the massacre, unless they fully submit to or practice Islam in good faith. Meanwhile, Cotabato City Administrator Atty. Cynthia Guiani-Sayadi, one of the 50 new suspects, said the case against her is “politically motivated” because of her plan to run for Congress in 2016. Sayadi, former ARMM solicitor general, denied in a press briefing on Friday that she had a hand in the massacre.